Dr. Mark Zeigler has been appointed Vice President of Institutional Advancement at Life Chiropractic College West. 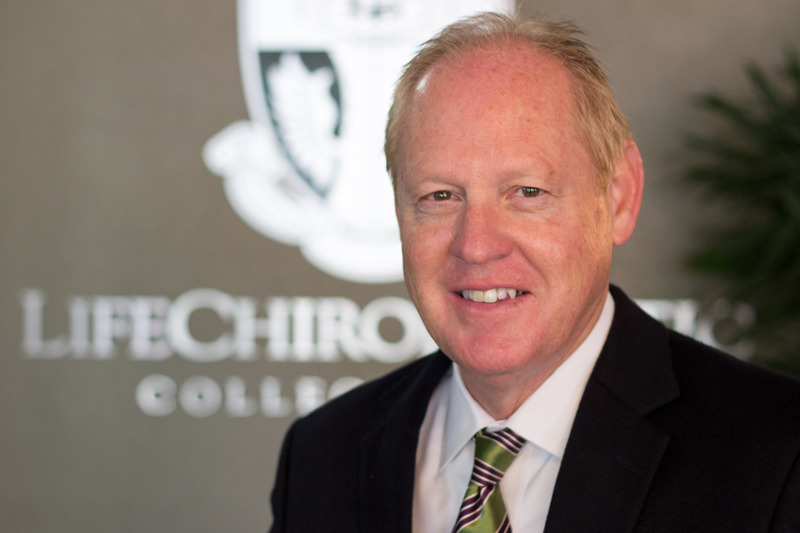 Dr. Mark Zeigler has been appointed Vice President of Institutional Advancement at Life Chiropractic College West. With a 35 year plus career, he has worked in a variety of leadership capacities. Dr. Zeigler worked five years in local government as Mayor of the city of Sturgis in South Dakota, was selected as the fifth president of Northwestern Health Sciences University, served as Vice President of the Association of Chiropractic Colleges, and had a successful private practice for over 25 years. “It’s a privilege to join the team at Life Chiropractic College West, under the leadership of Dr. Brian Kelly. This is an exciting time to be part of Life West as is reflected in the major capital improvements to their campus, the commitment to clinical education, and the growth in student enrollment. It’s a wonderful environment for students to study chiropractic and position themselves to be successful doctors of chiropractic in the emerging health care market place,” noted Dr. Zeigler. This role is critical to the ongoing success of Life West and will focus on securing significant philanthropic support for Life West’s vision, mission and strategic goals. Dr. Zeigler will help deepen the tradition of alumni philanthropic support, engage the greater Life West community with advancement efforts, inspire new thinking, seek out creative and innovative sources of philanthropic support and work in partnership with the Board of Regents’ Development Committee, the President and Vice President, the head of the Health Center, and other staff and faculty to support fundraising activities. Dr. Zeigler comes at a time when the college is seeking to raise $10 million for its capital campaign, Bridge to the Future. This will go towards ongoing capital improvements at the College’s Hayward Campus, including a new assembly hall and renovated Monte H. Greenawalt Health Center. “Dr. Zeigler is an individual that comes to us with significant work experience both inside and outside the chiropractic community. We look forward to working with him strategically and operationally for our next exciting stages of growth. The timing is perfect for his arrival,” added President Dr. Brian Kelly. This award winning chiropractor has received many honors including Chiropractor of the Year, South Dakota Chiropractors Association in 1998; named as Fellow of the International College of Chiropractors in 2002; and named Alumni of the Year by Northwestern College of Chiropractic in 2002. Dr. Zeigler received his Doctor of Chiropractic in 1980 from Northwestern College of Chiropractic in St. Paul, MN. For more information on Life West, please visit our website at http://www.lifewest.edu. Dr. Mark ZeiglerDr. Mark Zeigler has been appointed Vice President of Institutional Advancement at Life Chiropractic College West.